Ice Hockey In London: Who Are The Teams, Where To Watch And When's It On? Laura Reynolds Ice Hockey In London: Who Are The Teams, Where To Watch And When's It On? Ice hockey in London? Big time. This Canadian sport has infiltrated the capital, with loads of opportunities to get hooked on the puck-ing good game. Not familiar with ice hockey? Read on. London ice hockey teams: who plays? 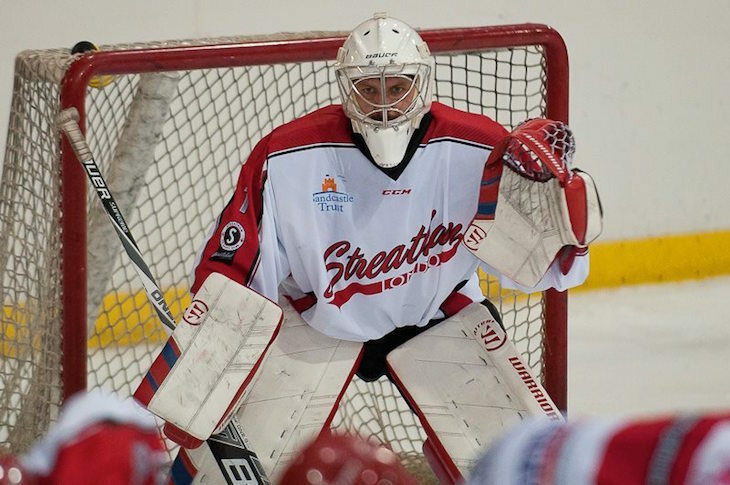 Previously known as Streatham Redskins, and now calling themselves the Hawks, Streatham IHC is based at Streatham Leisure Centre & Ice Rink. The team was established in 1932. 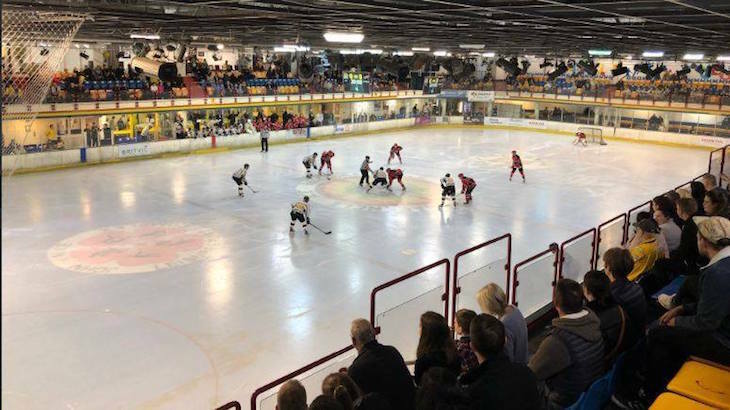 In 2014 the Redskins moved to their new location at the rebuilt Streatham Ice Rink (the only Olympic size ice rink in London) after being temporarily ousted to Brixton Ice Rink for a couple of seasons while it was under construction. When the old Streatham ice rink was closed down, there was doubt whether the team — once most of the most successful in Britain — would be able to continue. Clearly, this fear didn't come to pass. Streatham Ice Hockey Club. Follow them on Facebook and Twitter. Known until recently as Haringey Racers (or London Racers), the ice hockey team based at Ally Pally is now called the Haringey Huskies. The timeline of ice hockey at Alexandra Palace is a bit muddled, with teams called the Haringey Racers, the Haringey Greyhounds, the London Racers and the North London Hounds having played here over the years. All you really need to know is that if you want to watch ice hockey at Alexandra Palace now, Haringey Huskies are the team to watch, having taken up the mantle in 2017. Originally formed in 1984 and disbanded in 1995, Lee Valley Lions reformed in 2005. Of London's ice hockey teams, the Lions seem to have had the least turbulent past, with one name and one home location throughout their history. Lee Valley Lions. Follow them on Facebook and Twitter. London Raiders were previously known as Romford Raiders, and play at Romford Ice Rink (they briefly shared Lee Valley with the Lions, but they're back in north east London now. At the start of the 2014 season, it was looking doubtful whether Raiders would be able to compete in the league, due to sponsorship issues. The club is now run by a fans co-operative. Note: London Raiders is also the name of a LGBT softball team which trains on Wandsworth Common, but the two are not affiliated with each other. London Raiders. Follow them on Facebook and Twitter. Watching ice hockey in London: where is it played? All teams play both home and away matches. 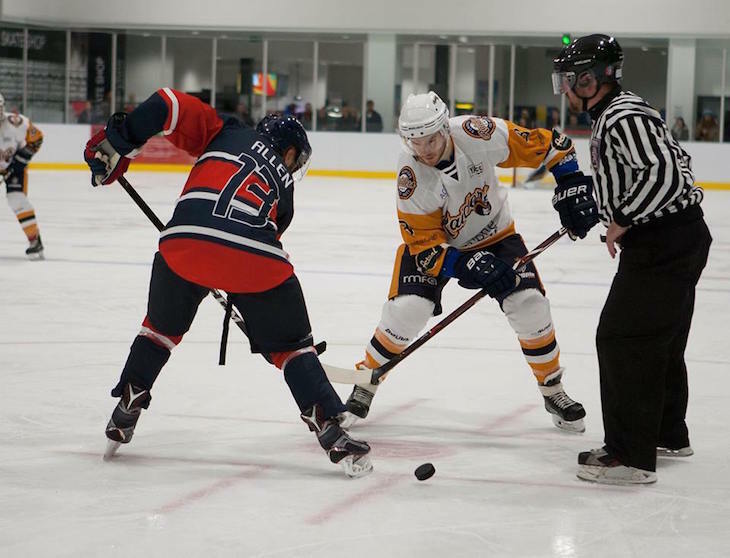 Home matches for the London ice hockey teams are played at the four venues mentioned above (Streatham Leisure Centre, Alexandra Palace, Lee Valley Ice Centre and Sapphire Ice Rink, Romford). The NIHL is split into four divisions; two cover the north of the country and two cover the south. All London teams are in the south divisions, so other matches take place at the home territory of other south teams, including Milton Keynes, Guildford, Slough and Basingstoke. Check each team's website for details of upcoming fixtures. When can I watch ice hockey in London? 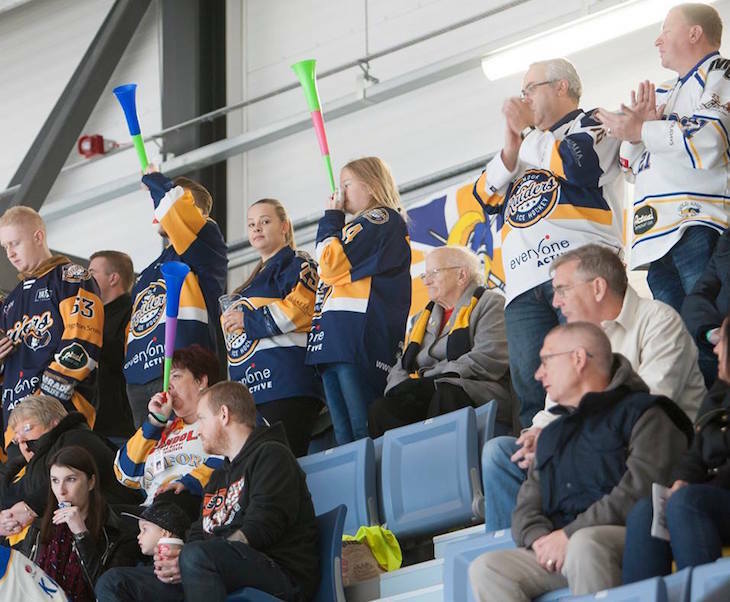 The UK ice hockey season runs September-March every year. Games usually take place on Saturday or Sunday evenings. Check the individual team websites above for specific fixtures. We have to admit, although we've dipped our toes in to the (icy) waters of ice hockey, we're no experts. Back in 2014, we spoke to John Scott — then CEO at London Raiders — who gave us a quick starter guide. Ice hockey can be quite a tricky one for newbies to follow, due to the fast — and often bloodthirsty — pace of the game. The principle is similar to football in that each team aims to score as many goals as possible — except these goals are significantly smaller. The 'ball' in this case is not a ball, but a rubber puck, which, being kept at 0 degrees Celsius, is basically a compact disc of pain for anyone who comes into contact with it. 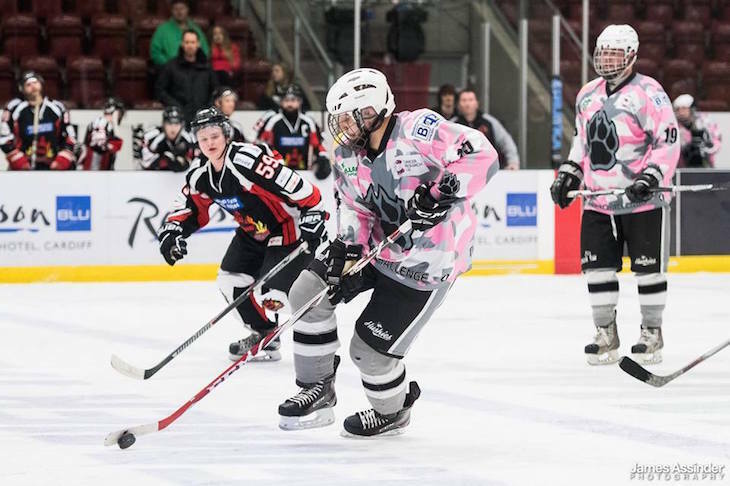 Each match is split into three periods of 20 minutes, with 15 minute breaks in between, allowing the ice to be wiped clean. Six players from each team are on the ice at once, including a net minder (goalkeeper) - although up to 20 players from each team could be on the bench at any one time, allowing for plenty of rest breaks and tactical substitutions throughout. If the whistle blows — for example, for an injury - the clock is stopped until play restarts. A goal is scored when the puck crosses the goal line. If a player commits an infraction, they will be sent to spend two, five or ten minutes in the penalty box, depending on the severity of the offence. Their team plays a man down for this time. Each team must have a minimum of three players on the ice at all times, so if multiple players are sent to the penalty box, their times will be staggered. The offside rule in football can be confusing. 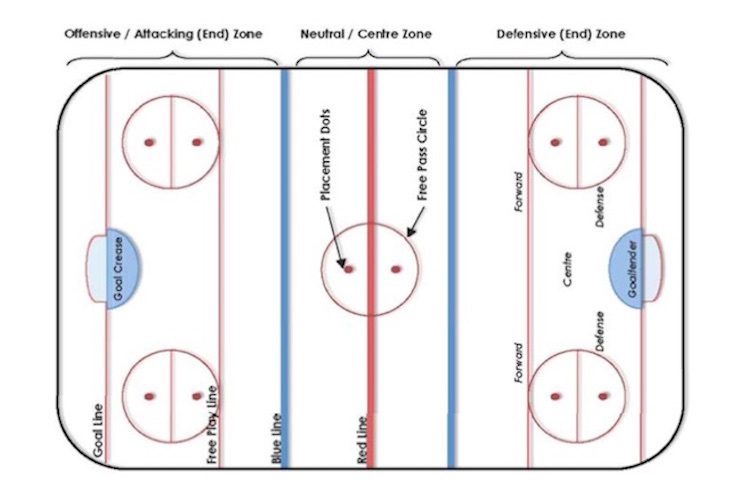 In ice hockey, being offside is simply when an attacking team member crosses the blue line (see below) before the puck.